Northland Car Club. Doctors Hill Road Hillclimb. 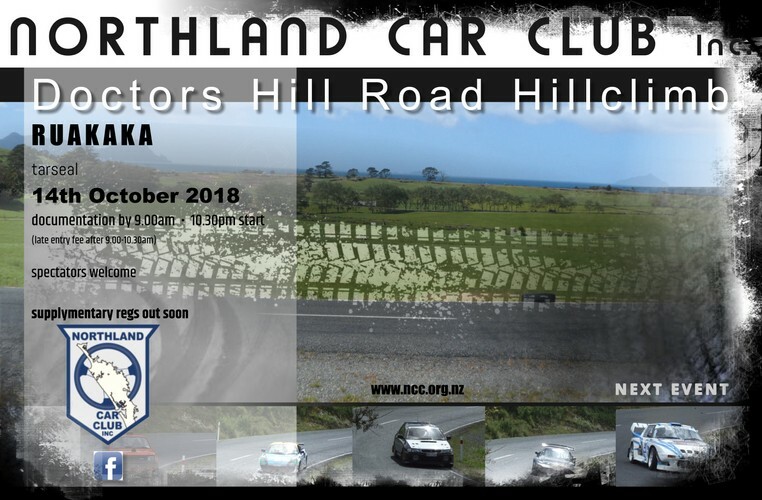 See Northland Car Club Facebook or website page for more information.